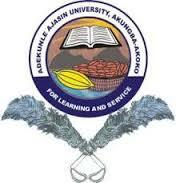 Adekunle Ajasin University, Akungba-Akoko (AAUA), Ondo State, Hostel Allocation Registration Form for Fresh and Returning Male and Female Students for the 2018/2019 Academic Session. Applications are invited from students for placement in the Male, Female and FDR Halls of Residence of Adekunle Ajasin University, Akungba-Akoko (AAUA), Ondo State for 2018/2019 academic session. Log in with your Matric No. or JAMB Reg., and select your Level. Complete the Bio-data Form accordingly. Make a payment of #1,000.00 for application form online via REMITTAL. Print out the Application Form after payment. Print out the Hostel Slip which contains the Hostel Name, Room No. and the Bed Space No. Submit a photocopy of your Application Form and the Hostel Slip to your Hall Manager.